Expired 8mo ago . Last validated 8mo ago . Used 553 times. 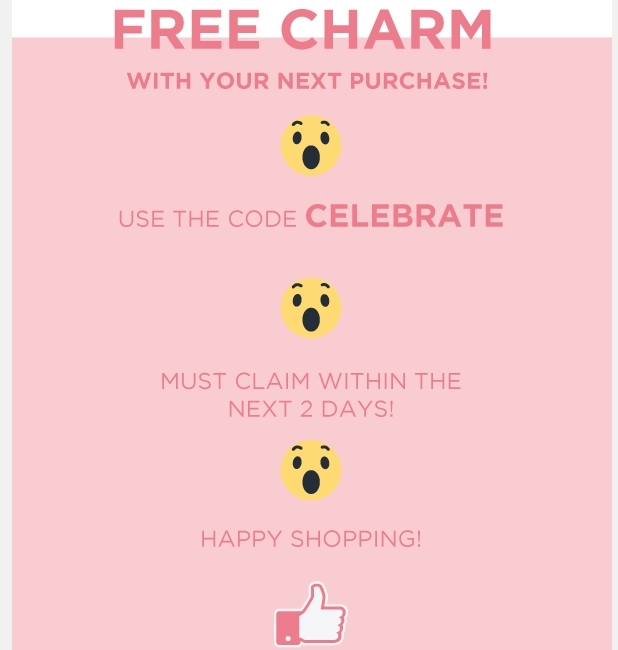 Angie Bailey Apply the promo code CELEBRATE at checkout to receive a free charm with purchase. Exclusions apply. Offer ends on 8/15/2018 at 11:59 p.m. CT.